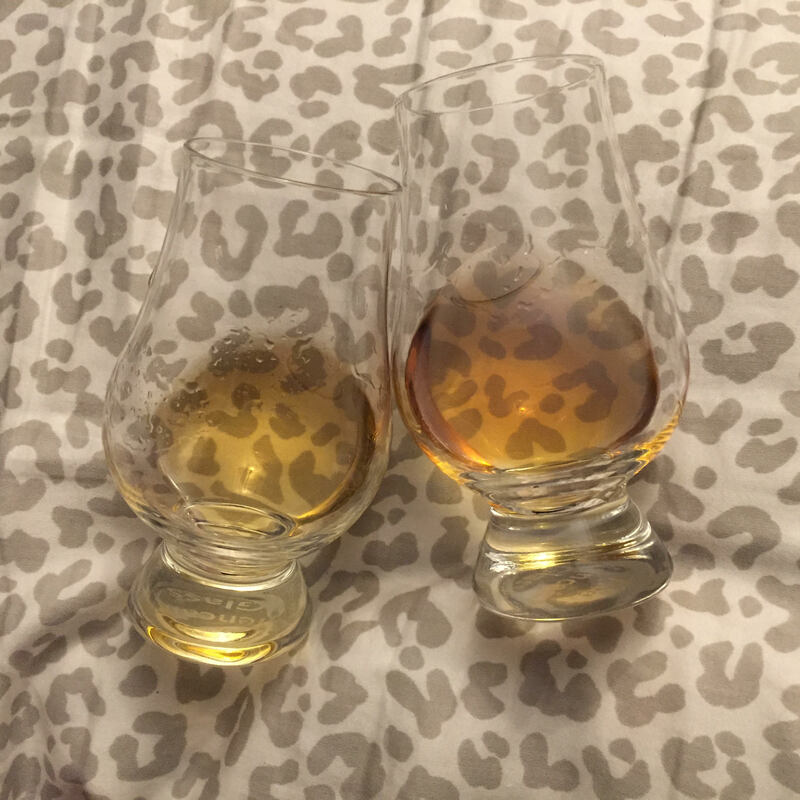 We love getting requests for Scotch VS Scotch comparisons. We’ve had the idea to post these for a while but have only recently decided to be intentional about it. Our first installment of the SvS was the Aberlour A’bunadh versus the Macallan Rare Cask. Hopefully this comparison is just as entertaining. We’re sticking with two from the same distillery this time. Both very oaky… SURPRISE! The 10 contains some typical oak sour notes like a too-young-spirit. The 17 shows sweet notes off the bat and it’s rich in smoke too. The 17 is like fireplace smoke drizzled in sugar. The 10 is edgy and very forward with its oak infused spices. I hate making references to fresh cracked black pepper so often but oak always brings this out in the reviews. The 10 suffers from an almost bitter edge like cinnamon though. The fruit require a bit of work to taste… subtle behind the oak. The 17 is also full of spices and signature oak offerings are balanced with a sweetness. Let’s add some water, shall we? The 17 has turned into quite the fruit sugar drink that teeters the entire time on the line of the oak qualities. What a wonderfully balanced dram. There is light sweetness in the 10 now but it’s become insanely tannic. To the point it’s difficult to decipher flavors. It’s still a bottle of oak infused water. It’s no where near the balance of sweet like the 17. Comparitively, the 10 is unrefined against the 17. Like it wanted to be it’s big brother but barely got halfway there. The 10 finishes like a champ though. It rolls off smoothly and doesn’t linger like an awkward phone call. It’s cordial and willing to say goodbye. The 17 is smooth, warm, and thick like honey. It finishes like a lover not ready to leave. Sweet smoke lingers if thee is such a thing. The 17 finish becomes like melted butter on the tongue but more refreshing than oily. The tannic ride doesn’t end with the 10. Time to drink a half a gallon of water to deal with this mouthful of cotton balls. And there we have it. Is the 17 worth the $100 difference? Without a doubt. A wonderfully balanced bottle is a treasure. I’m surprised the 10 is even produced to represent the Macallan Fine Oak line. You’d have to be in love with sour, young oak to really love it. I’d rather spend the same on the standard 12 and enjoy the sherry. Slainté!